1792nd-Witch house is a scariest point and click type game developed by ENA game studios. Your son was kidnapped by the evil creatures to turn him into one of their types. 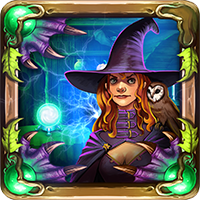 Only the witch knows the place of those evil creatures, find the witch and get details from her. At this level you have to trespass many dangerous places and tricky puzzles to meet the witch.